Viscosity meters - descriptions, photos and technical specifications, global manufacturers. Send inquiries to the manufacturers and contact them directly. The MINIVIS product series are automatic, temperature controlled micro falling-ball viscometers used for all kinds of Newtonian liquids. The use of reflection sensors makes it possible to cover a wide range of applications: samples as dark as used oil, heavy-oil, black ink and blood can be measured with highest accuracy and repeatability. The small sample volume and easy handling eliminate the usual cleaning problems of other viscometers. For on-line applications, a valving system using a syringe with a flow-through insert is available. The built-in Peltier elements make the use of an external cooler unnecessary. The falling-ball viscometer enables the precise measurement of the dynamic viscosity of clear liquids or gases. Different test balls will be used for samples of low viscosity in the chemical industry, pharma industry, food industry or crude oil industry. In-Line viscosity meter - model M50. In-line sensor for measuring of low viscosity (<2000cps), pressure (<20psi/1.4Bar) and flow (<5gpm/19lpm). The PIVI is the only portable viscometer as stable in process as in lab. The active part of the PIVI is a vibrating rod, held in oscillation by a constant electrical power. The vibration amplitude varies according to the product viscosity where the rod is immersed. • Instantaneous digital display with 40 measurements memory and RS 232 link. 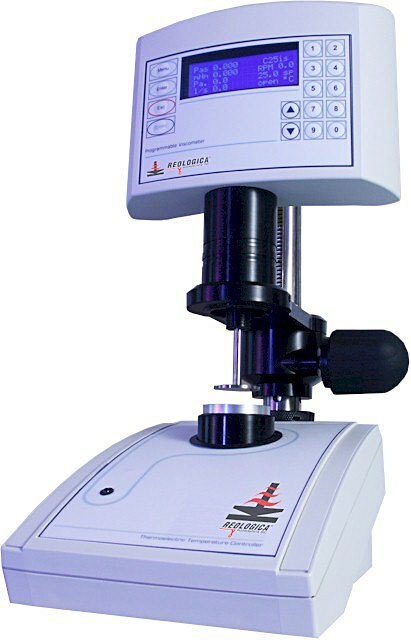 MERLIN Viscometer is a rotational high performance viscosity meter capable of yield stress and steady shear testing in a compact size, rugged footprint. Viscosity meter is designed for rheological tests - single point viscosity, for example, checks for QC. The MERLIN is ideal to investigate the stirring, mixing, and process flow fluid systems characteristics. 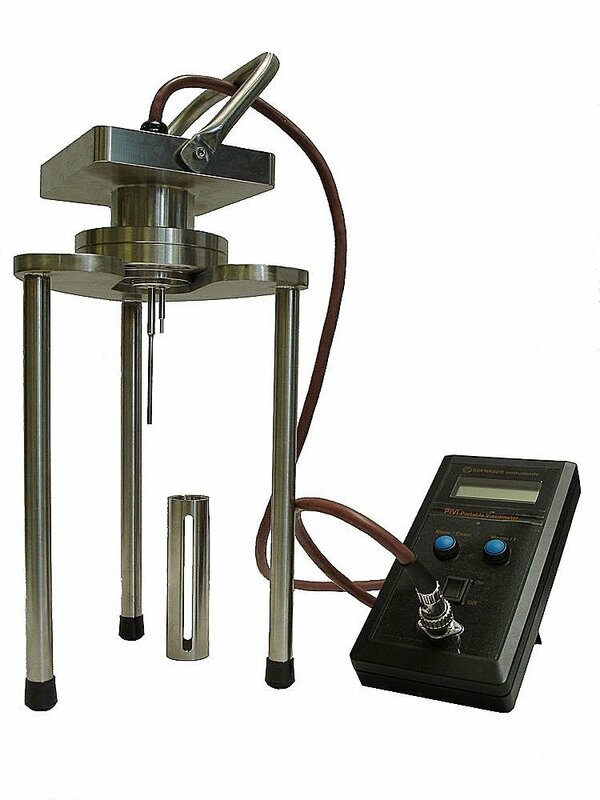 Rotational viscometer for oil viscosity. 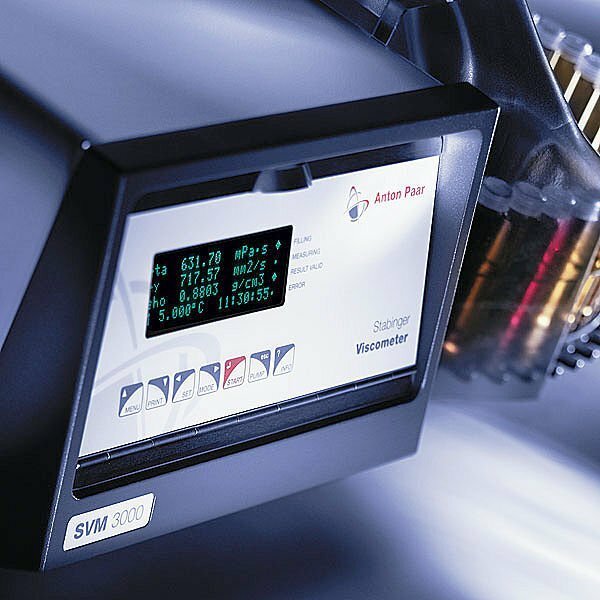 The SVM 3000 viscosity meter works according to a patented, new (EP 0 926 481 A2) measuring principle. You need just fill the measuring cell with sample 2,5 ml and obtain both kinematic and dynamic density and viscosity values. Is also integrated the calculation of viscosity index. The viscosity meter SVM 3000 fulfills all ASTM D7042 requirements: Standard Test Method for Density and Dynamic Viscosity of Liquids by Stabinger Viscosity meter (and the Kinematic Viscosity Calculation). The viscosity meter VL800 can adapt to existing tank or piping nozzles and able withstand process temperatures upto 300 C. Also available a high temperature sensor. 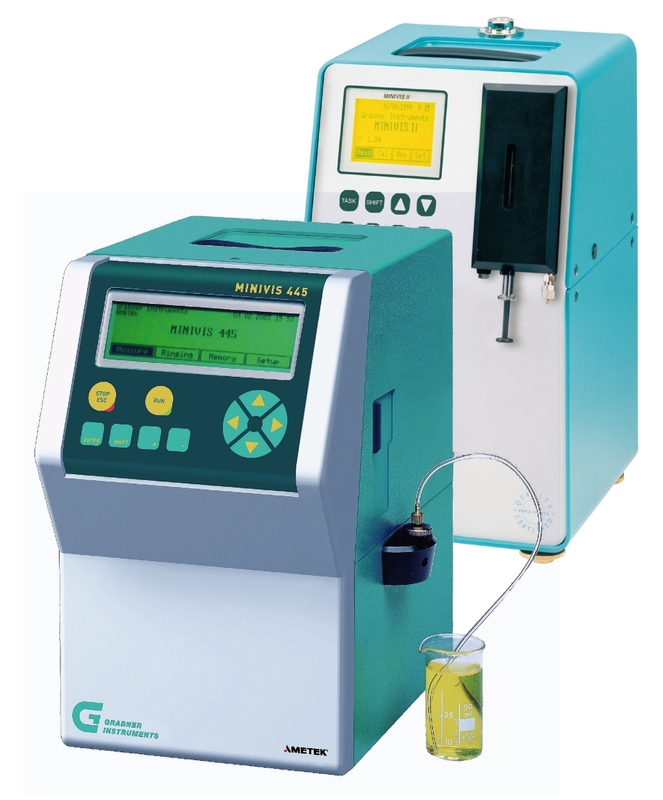 The viscometer was specifically developed to measure the viscosities of dilute polymer solutions. Viscosity meter provides greater precision, less solvent exposure and faster analysis comparing to conventional glass tubes. This Relative Viscometer is approved ASTM, it's closed loop system provides maximum safety for the operator.